Join us for this 12-month program and immerse yourself in these beautiful fabrics from Maywood Studio's Chloe, Beautiful Basics and Kimberbell Basic lines. 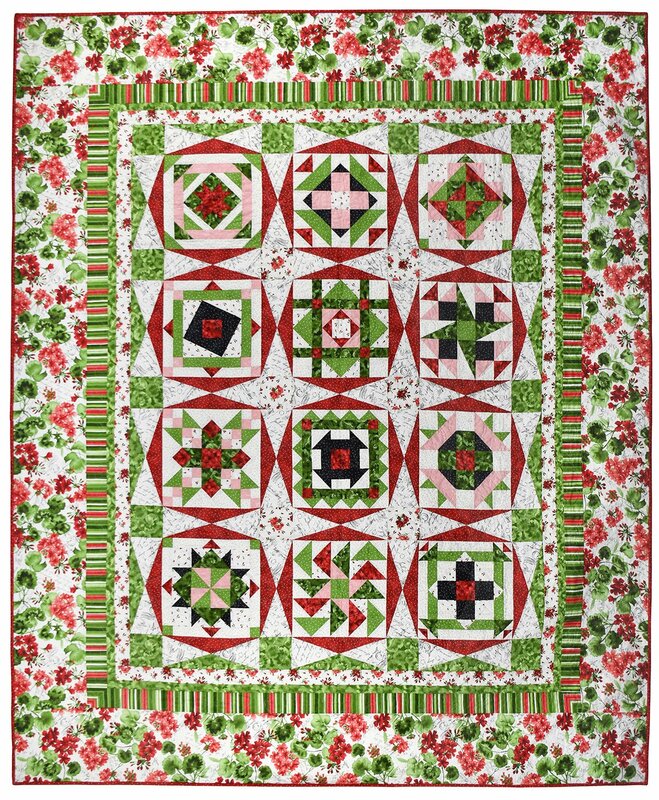 Each month you will learn easy piecing techniques as you make one of the 12 flower-themed blocks. The $ 16.00 monthly fee includes everything you need for the quilt top, the pattern, and the binding! Pattern includes quilt sizes 81” x 97” or 83” x 103”.